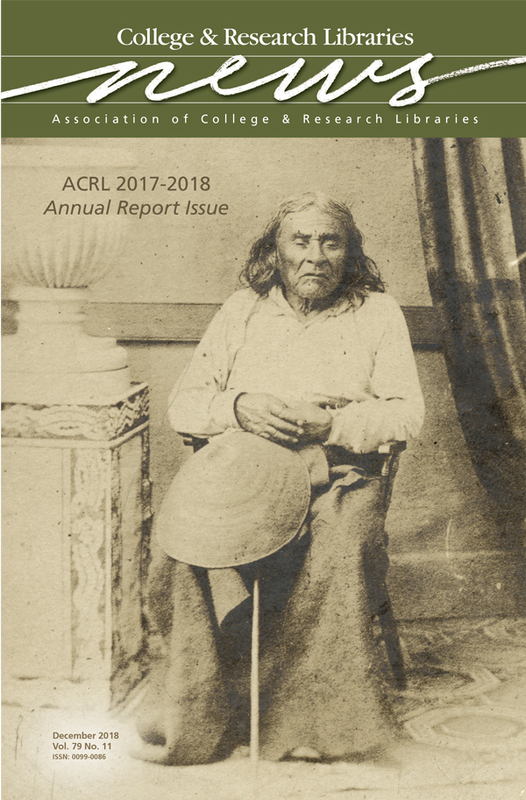 This month’s cover is a photograph taken by E. M. Sammis in 1864, and held by the University of Washington (UW) Libraries Special Collections. It depicts Chief Si’ahl, for whom the city of Seattle, host of the 2019 ALA Midwinter Meeting, was named. He was a leader of the native Duwamish and Suquamish peoples on the Puget Sound, known for maintaining friendly relations between his people and the white settlers who came to the area. The UW Libraries Special Collections brings together the university’s most rare and unique resources. The holdings span history and the globe, and offer boundless opportunities for exploration and discovery. Visit the library Special Collections at www.lib.washington.edu/specialcollections.